It’s a profound, eye-opening experience to re-encounter books that you once treasured decades ago. A clear-eyed love letter to the greatest children’s books and authors from Louisa May Alcott and L. Frank Baum to Eric Carle, Dr. Seuss, Mildred D. Taylor, and E.B. 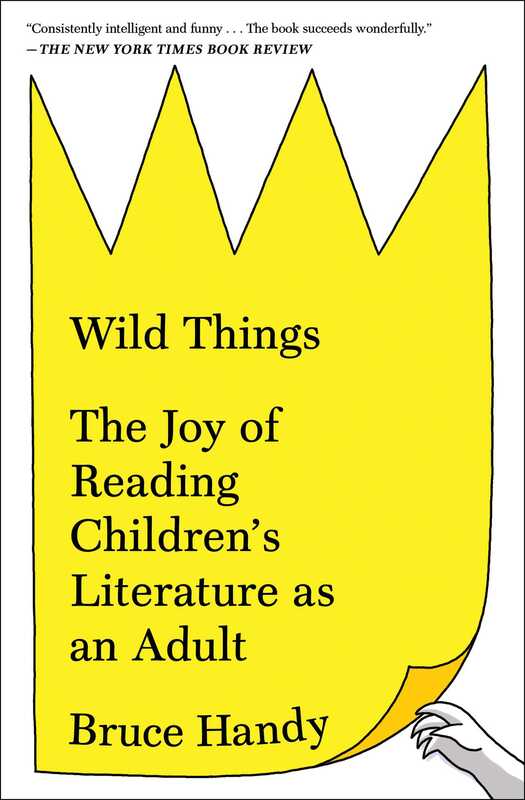 White, Wild Things is “a spirited, perceptive, and just outright funny account that will surely leave its readers with a new appreciation for childhood favorites” (Publishers Weekly). Cheat not in your play. Play not with bad boys. If any children are reading this, that is actually not bad advice, to be not a dunce. Nevertheless, I quote it both to make easy sport of the past and to underline the fact that, while the painting, music, drama, and political philosophies of the eighteenth century have much to recommend them, no one would say that children’s literature was one of the era’s glories. Or, to put it another way: anglophone readers living in the twenty-first century should be very grateful for Dr. Seuss. And for Margaret Wise Brown, Louisa May Alcott, Mark Twain, Beatrix Potter, L. Frank Baum, A. A. Milne, Laura Ingalls Wilder, C. S. Lewis, E. B. White, Maurice Sendak, Ezra Jack Keats, Russell Hoban, Eric Carle, Judy Blume, Mildred D. Taylor, Kevin Henkes, and Ian Falconer. It should go without saying that the best children’s literature is every bit as rich and rewarding in its concerns, as honest and stylish in execution, as the best adult literature—and also as complicated, stubborn, conflicted, and mysterious. Like any worthwhile art, great children’s books are capable of speaking in many different ways to many different readers. You and I might each take something very different away from Goodnight Moon or The Wonderful Wizard of Oz, just as we might from Invisible Man or La Dolce Vita. And what we take away may well surprise or upset us. As the novelist and critic Alison Lurie writes in Don’t Tell the Grown-Ups: The Subversive Power of Children’s Literature, the most perceptive kids’ authors “have had the ability to look at the world from below and note its less respectable aspects, just as little children playing on the floor can see the chewing gum stuck to the underside of polished mahogany tables and the hems of silk dresses held up with safety pins.” Raise the perspective a few feet, to see the soup stains on ties and the sour expressions on faces that think they aren’t being watched, and you have a pretty good description of what the better adult novelists do as well. Lurie is one of a number of astute and lively writers on children’s literature who have emerged in recent decades. Two more favorites of mine are Leonard S. Marcus, the critic, biographer, and historian; and the late Maurice Sendak, who was not only the creator of what will surely be some of the most enduring picture books of the twentieth and twenty-first centuries, but also a knowing, entertaining, and always generous critic. (It is almost unfair how good a critic Sendak was, though it is nice to have him in your pocket as a rejoinder whenever anyone insists that only people who can’t make art bother with criticism.) The New Yorker has a long history of taking kids’ books seriously and in recent years has published terrific essays on the subject by Joan Acocella, Adam Gopnik, Louis Menand, and John Updike. You will see their names cited throughout this book, and I am grateful to them for their insights and inspiration. I am equally indebted to the biographers listed at the back of this book; happily, someone has written at least one good life of nearly every major nonliving figure in children’s literature. I hope an ambitious author gets cracking soon on Sendak. But just as children’s books are cordoned off in cozy kiddie sections at libraries and bookstores, and in isolated (though profitable) imprints in publishing houses, so too when it comes to criticism. It’s a shame, for instance, that The Horn Book Magazine, which has been covering children’s literature since 1924, isn’t more widely read; it’s full of smart, graceful writing. Elsewhere, however, kids’ books are often written about in one of two limiting ways: either tightly swaddled in academicese, with all the spirit sweated out of them—“Seuss’s books share with many others of the 1950s and 1960s an argument for the aesthetic life amid the everyday,” sigh—or reviewed in strictly utilitarian terms as if books were cars or blenders being tested by Consumer Reports: Is this the sort of story that will engage a child? Does it lend itself to reading aloud? Can I give it as a gift without fear of embarrassment? Will it get the kids to go to sleep before the Game Six tip-off? Not that those aren’t legitimate questions. Here is another: Why haven’t picture books earned the same pop culture cachet that comics and graphic novels have? Picture books are like poetry to comics’ prose, a form every bit as sophisticated if not more so, and no less worthy of adults’ attention and enjoyment. In a fairer world, Ferdinand the bull, Olivia the pig and Sam-I-Am the whatever-he-is, would be mentioned right alongside Krazy Kat, Superman, Popeye, Charlie Brown, and Lucy when discussing archetypal American characters. They might even deserve a seat at the table with Huck and Gatsby. I can second that. One of the unexpected joys of parenthood, for me, was reencountering books from my childhood that I had loved and that, much to my relief, I found I still loved. Reading bedtime stories to my kids (daughter Zoë, son Isaac; two years apart) was—not always, but often—like revisiting a favorite old neighborhood after many years and finding not only that it hadn’t been chain-stored into submission or paved over altogether, but that it was far more interesting and complex than I knew. I had vivid childhood memories of Dr. Seuss, like every American born in the past sixty years, but I was surprised by just how aggressive some of his stories are—to the point that many Seuss characters seem to be sublimating anger or frustration in a way that might strike a parent as very, even too familiar. (We all have those feelings . . . no?) I had vivid memories of Beverly Cleary’s suburban comedies, too, but was struck and moved, as I read the books to my kids more or less sequentially, by the deepening emotional richness of her novels; you could sense her growing as an artist on the page, especially as her focus moves from Henry Huggins and his dog, Ribsy, to the sisters Beezus and Ramona. Her masterpiece, Ramona the Pest, a psychologically acute study of a girl struggling against social conventions (in her case, kindergarten’s), is like Henry James with much shorter sentences. I’m sort of joking, but I’m sort of not, and a few years after I first had this epiphany I discovered that Beatrix Potter had also garnered comparisons to James, and from no less an authority than Graham Greene, so if you find the reference a bit much, blame him too. Some reunions disappointed. I had loved Curious George and its sequels as a kid but, thirty years on, I discovered the books carried with them a stale, colonial aroma. I also wearied of the series’ random, and-then-this-happened narratives, which reminded me of the long, rambling, frankly boring stories that young children themselves tell. (In my experience, kids’ drawings and paintings tend to be far more engaging than kids’ narratives.) A few years post–Curious George, my children and I took up Madeleine L’Engle. I remembered A Wrinkle in Time as gripping, mind-expanding, and spooky, and it was still all that, though it also proved preachy and on close inspection harbored within its interplanetary adventure a now dated Cold War fable about collectivism—Ayn Rand for kids. That I could forgive, or even find interesting in an archaeological way; a less forgivable problem is that the novel ends abruptly and unsatisfyingly. Oh well. Taste is always a mystery, and never more so than with children. At one point when my kids were very young and particularly unfathomable, they couldn’t get enough of a series of books based on the Disney Winnie-the-Pooh movies. These were clumsily written, banal little stories about being nice to your friends, taking care of the environment, celebrating differences—the twenty-first-century, middle-class American version of Serve God / Hate lies.1 The illustrations, ham-handed takeoffs on Disney’s already watered-down versions of E. H. Shepard’s original illustrations, were hopeless; and is there any cultural artifact more dispiriting than a shoddy children’s book? Less stories than licensing deals, these were a cheap corporate product in the guise of something nourishing. Eventually I got fed up with reading them over and over and decided to force the kids to listen to the original A. A. Milne books, which I found charming and droll and they, shrugging off the whimsy and irony, found only “OK” (their go-to adjective in those days when damning with faint praise). Christopher Robin was going away. Nobody knew why he was going; nobody knew where he was going; indeed, nobody knew why he knew that Christopher Robin was going away. But somehow or other everyone in the Forest felt that it was happening at last. All this was swirling through my head as I read, tears spilling down my face, and my heartless kids couldn’t have cared less. They were just glad the book, which they had endured to humor me, was almost over. I tried to explain what was going on between Pooh and Christopher Robin, and why that moved me, but they already understood it fine, they just didn’t find it particularly sad; I guess they were used to abandoning toys and getting on with the next phase in life.2 But forget them. I had been moved and provoked when I might have least expected it: reading The House at Pooh Corner. I can’t honestly recall if I read or was read Milne as a kid. The books I do remember reading, even the ones that I have cited as childhood favorites over the years, I don’t think I gave much thought to before reencountering them as a parent and then embarking on this project. Many of us say we loved Green Eggs and Ham or The Lion, the Witch and the Wardrobe or Charlotte’s Web when we were young, but that’s often where the conversation ends, in a hazy, nostalgic glow—a seminal reading experience reduced to a yearbook page. I hope this book will shed light on why we loved the books we loved, and on the social and personal contexts that produced them in the first place; what they meant to their authors and illustrators; and why, too, they sometimes fall short or even veer off into the ditch. You don’t have to be an easy mark to appreciate these works; in fact, a hard, skeptical eye is better. The journalist and critic Ron Rosenbaum, whom I’ve long admired, used to have a column in the New York Observer called “The Edgy Enthusiast”; that is a rubric I hope to channel here. Roughly speaking, this book is organized chronologically, by the ages of intended readerships, beginning with picture books for the youngest children and moving on through chapter books and then to novels that just kiss the border of young adult fiction, maybe crossing over once or twice.3 I’ve tried to weave in a parallel narrative showing the way the best authors and illustrators not only address the needs of different age groups but also challenge them, broadening worlds and stretching imaginations. I’d like to think there’s an implicit coming-of-age story here—literally by the book. Start with Goodnight Moon, which has probably put more toddlers to sleep than any other book in history; it also prods them to begin making sense of the world beyond their own noses, finding gentle drama in just looking around—and listening. (Goodnight noises everywhere). Stories that take love as their subject, such as The Runaway Bunny and The Giving Tree, reflect children’s growing understanding of the complex bond between parent and child. Fairy tales, frightening yet soothing, help older children cope with their sometimes conflicting or unacknowledged emotions, while animal stories often turn the lens in the opposite direction, outward, offering insight into the ways of both the natural and human worlds. Dr. Seuss has taught several generations of children how to read while cheerleading for the anarchic power of imagination (especially his own); one moral of his oeuvre: discipline is not the enemy of creativity. Beverly Cleary’s comedies of manners speak to the growing complexities of kids’ roles as members of families and neighborhoods—as social creatures. L. Frank Baum used fantasy to create a kind of alternative American myth. C. S. Lewis did the same, and more explicitly, for Christianity. Louisa May Alcott and Laura Ingalls Wilder delineate the more personal passage from girlhood to womanhood; they show children how growing up is done, but from the inside, as story, not prescription. And finally there is E. B. White, who, in Charlotte’s Web, crafted a masterly novel of ideas about what it means to lead a good life and how then to face death with grace. So cradle to grave, as they say. One disclaimer: this is not intended to be a comprehensive history or survey or guide. It couldn’t be; the ocean of children’s books, even if you’re trying to chart only its friendliest waters, is way too vast, too deep, too fluid, at least for me. One of the more humbling aspects of writing this book was that nearly all those I told about it asked if I would be including some childhood favorite of theirs I’d never heard of. I regret I didn’t have room for those books and series, or for many of my own childhood favorites and more recent enthusiasms. Even the following list of authors and illustrators that I wished I’d had time and space to include—beyond passing mention, if that—is incomplete, but I offer it as a mea culpa: Hans Christian Andersen, Ludwig Bemelmans, Quentin Blake, Sandra Boynton, Andrew Clements, Christopher Paul Curtis, Roald Dahl, Ingri and Edgar Parin d’Aulaire, Edward Eager, P. D. Eastman, Kenneth Grahame, Daniel Handler, S. E. Hinton, Maira Kalman, Jon Klassen, Hilary Knight, Suzy Lee, Grace Lin, Betty Bao Lord4, Robert McCloskey, Christopher Myers, Kadir Nelson, E. Nesbit, Katherine Paterson, Dav Pilkey, Dan Santat, Richard Scarry, William Steig, John Steptoe, J. R. R. Tolkien, P. L. Travers, Chris Van Allsburg, Mo Willems, Jacqueline Woodson. As of this writing, in early 2017, my newest favorite picture book (and current default baby gift) is They All Saw a Cat by Brendan Wenzel, published in 2016; it is his first work as both writer and illustrator, and I can’t wait to see what he does next. A special nod to J. K. Rowling, who created a true monument of contemporary children’s literature, one I feel privileged to have experienced in “real time” alongside my kids—the closest thing they and I will come to experiencing what it must have been like to await a new Beatles album or the next installment of David Copperfield. But the Harry Potter epic has been so widely appreciated and so thoroughly analyzed I feel I have nothing to add to the conversation, except a piece of advice: if you are planning to read the series aloud to someone, and unless you are a professional actor, do not attempt “voices.” You will soon be in over your head, and the whole thing, though spectacular, goes on forever. 1 Again, if any actual children are reading this: being nice to friends, taking care of the environment, and celebrating differences are all good things, but they are not very often the basis for interesting stories. 2 Not that children can’t be hugely sentimental about their own childhood. Several years after The House at Pooh Corner my kids, now young teenagers, bawled their eyes out when Andy gives away Woody, Buzz, and Jessie in Toy Story 3. 3 YA, as it’s known to the trade, is a world unto itself, and its appeal to adult readers has been well documented, so I leave it to others to grapple with. 4 Lord mostly writes for adults, but her children’s novel, In the Year of the Boar and Jackie Robinson (2008), is a wonderful middle-grade story about a young Chinese immigrant growing up in Brooklyn who finds her way into American culture with the help of baseball. Bruce Handy is currently a contributing editor of Vanity Fair. 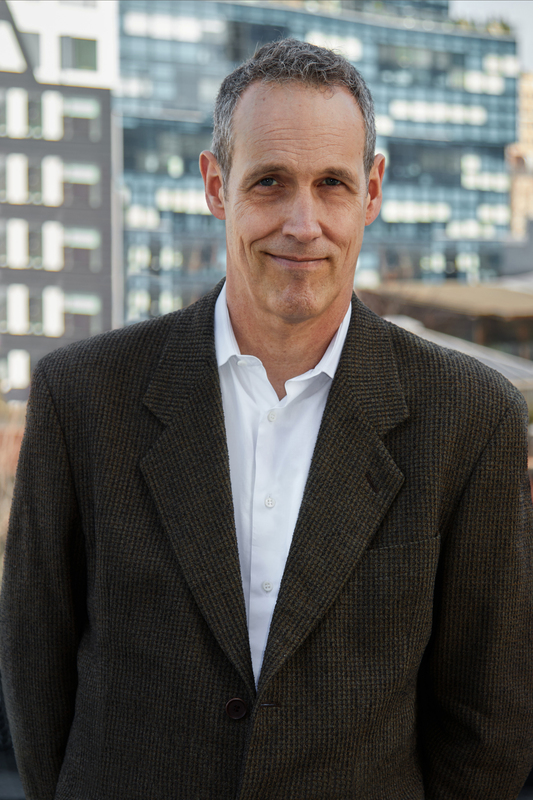 A former writer and editor at Spy and Time, his articles, essays, reviews, and humor pieces have appeared in such publications as The New York Times Magazine, The New York Times Book Review, New York magazine, Rolling Stone, Vogue, The Village Voice, and The New Yorker. Handy was nominated for an Emmy in 1993 as a member of Saturday Night Live’s writing staff. He won a GLAAD Award in 1998 for his “Yep I’m Gay” Time cover profile of Ellen DeGeneres. At Vanity Fair, he has written on topics and personalities as diverse as Mad Men, Amy Schumer, film composer John Barry, PeeWee Herman, Miley Cyrus, the J.T. Leroy hoax, Cinerama, and the history of flight attendants. A native of California and a graduate of Stanford University, Handy lives in Manhattan with his wife, novelist Helen Schulman, and their two children. Wild Things is his first book.